ha, I still use an old Garmin GPS that has lifetime updates and it still updates so why not? I still carry paper maps in the truck too.. ha, ha.. Guess that tells you all how old I am! I do have Waze on my phone and even the Google maps drive app is pretty good.. But, my old Garmin has that "Dr Nightmare" voice and it's just funny to listen to on long road trips! In fact, "she" picked up her new 18 XLT yesterday (302A) and I set her IPhone up for her. My first time to see the latest CarPlay interface. Pretty Cool, I'll admit. I drove her truck a few hours yesterday while she managed the entertainment and phone calls. All seemed to work to her satisfaction and expectations. In fact, she's in love with her first ever truck. I caught her looking back at it as we were walking into Tractor Supply. I started laughing and she wanted to know what was so funny. I just told her she'd make a lot of Ecoboosters I know proud with that backward sneak-look. Edit: Just realized I did NOT answer your question. Sorry. Probably not. Unless it was really easy to do so. And even if it took little effort, I'm not certain I'd spend much to do so either. But that side of me is unpredictable. 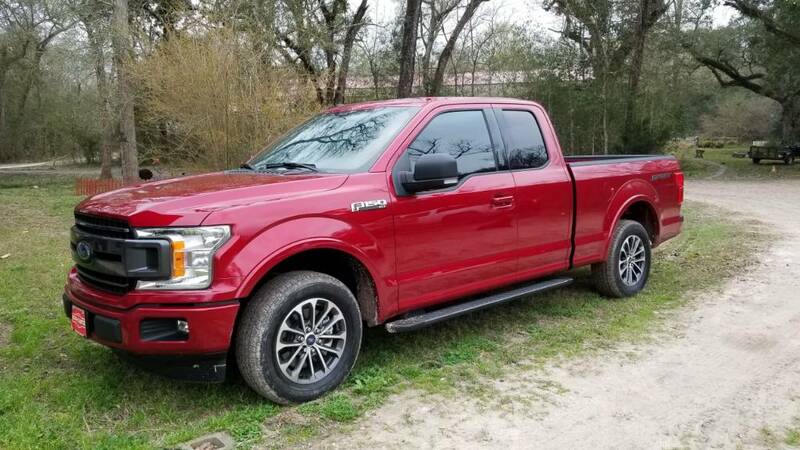 In a moment of weakness - I jumped on a new 2018 F150 2.7L Ecoboost well outfitted - that also included both factory Nav and Android auto. I imagine it is much like if not just like yours. I have only used the factory Nav a little bit. The first time - the maps did not include the neighborhood my daughter lives in. But I did notice on the right hand side of the display - when your approaching a turn will multiple lanes or other complexities - you see a nice simple graphic preparing you for what's ahead. That is a nice feature when driving in unknown congested areas. The screen is bigger. However - I still miss some features / abilities I had with the aftermarket Pioneer. Like - both my phone and my wifes could be paired at the same time. Only one would be active as far as streaming music or controlling android auto - but - the nice part was - if a call came in on either phone - you could answer it thru the Pioneer system. 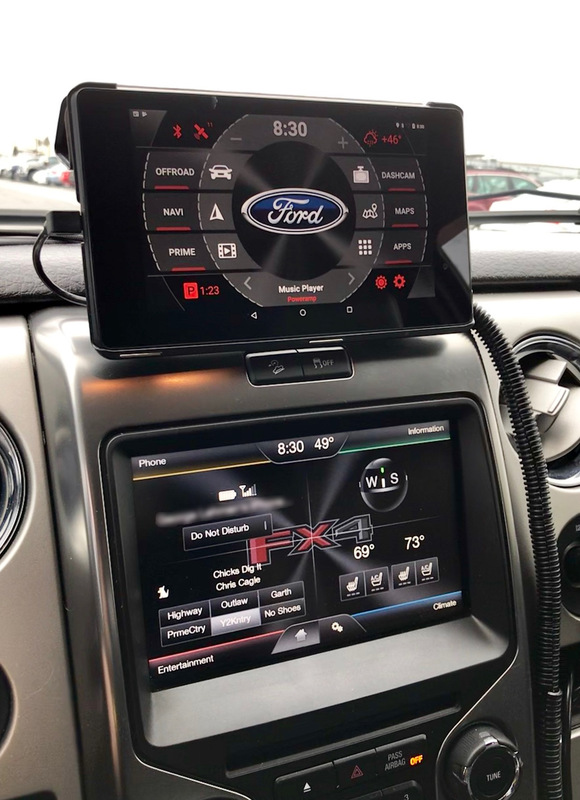 Also - The combination of the Factory Nav & Sync 3 - and - Android Auto - does not mesh together as nicely as I had with the Pioneer AVH 2440NEX (I had the old 2013 Ford Sync totally disabled). The the new system - if I am using Factory Radio or Sirius - and want to place a call, etc. - I have to turn the volume down manually versus they system doing so automatically. That said - the new factory system works just fine and their is no reason to change anything. Haha. I love those weak moments! And you're right about the onboard NAV with the picture in a picture preparing for a multilane situation ahead. That's really comforting when you are towing through some metropolitan area you don't know well! I admit that would be cool when I'm all alone towing across West Texas and New Mexico. I could "learn" while driving without having traffic all around me. I just got the Garmin RV 770 LMT-S gps with 7” screen. Lifetime updates. Designed for use with RVs so you can be routed away from low overhead areas, weight limited bridges, etc. 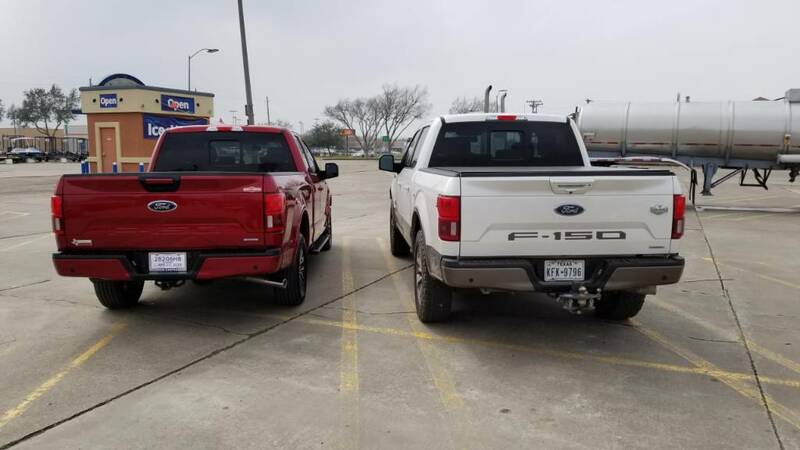 Can also be set up just for the truck. Thank you all for your help, got an I phone 10. It has Tom Tom maps on it, it works on my 8 inch screen. You have to use the Apple ubs cable for it to work.